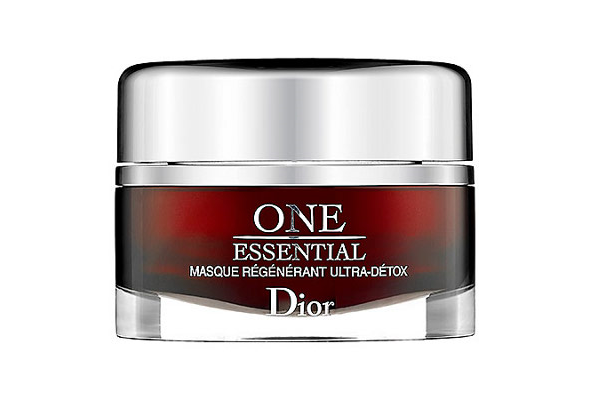 As far as face masks go, Dior One Essential Ultra-Detox Treatment-Mask ($100) is definitely one of the more luxurious ones I've tried. The science behind it sounds complicated (a patented algae extract and mysterious blend of detoxifying ingredients), but the concept is simple enough: This mask roots toxins out of your skin once or twice a week so that your anti-aging products absorb better. The detox mask is cool to the touch and gel-like in texture, with a pretty scent that reminds me of my mom's old xuehuagao face cream. It's meant to be left on for 15 minutes. Afterward, the enclosed spatula is used to scrape off any excess and simultaneously massage your skin to accelerate detoxification. (Follow the enclosed pamphlet's instructions for the removal/massage!) I also like giving my face a quick rinse to get rid of the sticky texture, although technically you're not supposed to do that. Online reviews of this mask are mixed; some swear it does miracles for their sun-ravaged skin, while others are disappointed with the results considering the high price tag. My theory is that if your skin is good to begin with, the effects of this mask are much subtler because it has less work to do. I didn't notice a huge difference after 3-4 weeks of regular use; my skin just seemed softer and more even-toned. The most noticeable change occurred to the congested pores and under-the-skin blemishes around my hairline and on my cheeks—rough-to-the-touch bumps that persist despite scrubs, exfoliation, and salicylic acid. After one use, they vanished and my skin felt completely smooth. So is that complete smoothness worth the $100 price tag? Compared to the cost of a one-time facial, I'd say yes. Compared to the cost of a less expensive mask, I'm not so sure.